WHAT: World Premiere of Postcards To Mongolia by Thomas A. Blomster, conducting the performance by the Morin Khuur Ensemble as part of “Beautiful Mongolia”, Naadam Festival. Colorado composer and conductor Thomas A. Blomster is the first Western composer and conductor to work with the Morin Khuur Ensemble, the traditional Mongolian instrument ensemble that is part of the Mongolian Philharmonic. His composition Postcards To Mongolia will be performed as part of the Naadam Festival, Mongolia’s largest and most important annual festival. The Naadam festival is the Mongolian version of the Olympics, with sporting events of wrestling, archery, and horse racing that are traditions of Mongolia’s historic culture. In addition to the athletic events, there are numerous musical and artistic events during the three day festival. The story about Mongolia and me: I inherited from my father a curiosity about the world. So sometimes late at night, I cruise the internet, to see if there are orchestras in “far flung” places around the world. 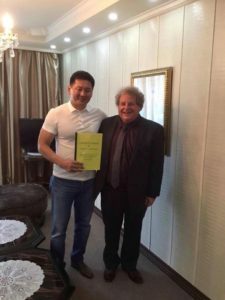 Thus I friended the Mongolian Philharmonic Orchestra (MPO) on Facebook. 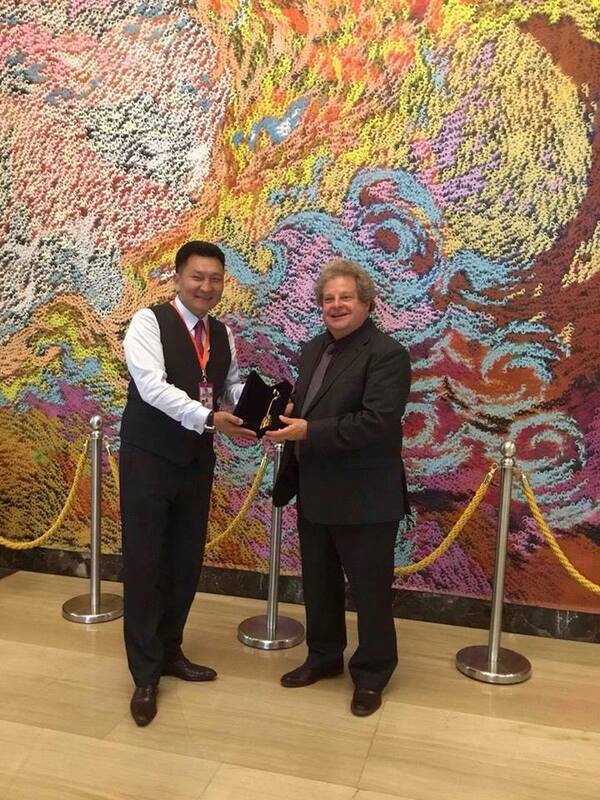 Shortly thereafter, Erdene-Oyun Burgedee of the MPO friended me. Last fall, Erdene visited Denver, and we became good friends as I helped her navigate Denver and its arts scene. 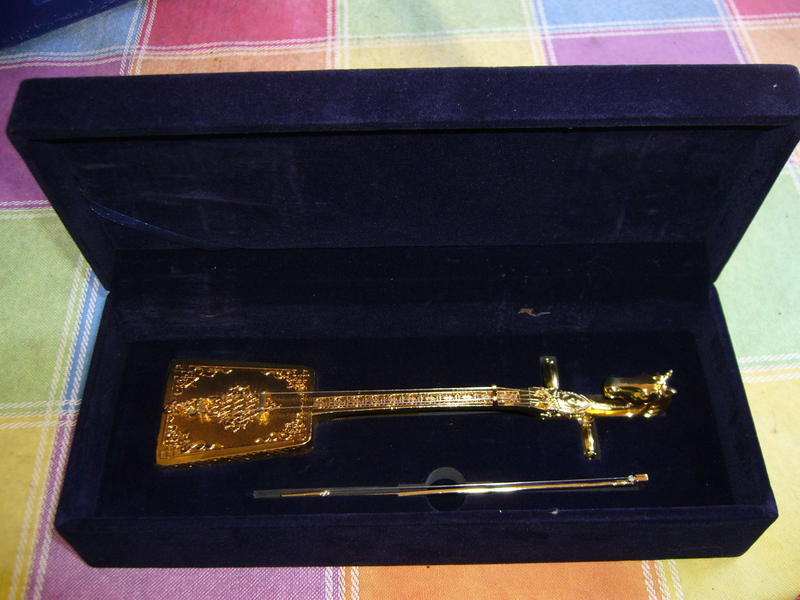 Erdene (her nick name is Oko) shared a DVD and booklet on the Morin Khuur Ensemble (MKE), the traditional Mongolian orchestra that is part of the MPO. I was most intrigued and wrote a composition titled Postcards To Mongolia for the MKE. Oko submitted Postcards to the director of the MKE, and my composition is being premiered, with me conducting, during the Naadam Festival in Ulaanbaatar, Mongolia’s capitol and largest city, on July 11, 2017. We are hoping to stream the performance live. My wife Nikki and I will be in Ulaanbaatar for almost two weeks and I will be working and collaborating with Mongolian musicians, including jazz musicians and percussionists. This is a bucket list or once in a lifetime trip for Nikki and me. I’ve wanted to visit Mongolia for a long time, but that’s a more involved story. The link below is an electronic realization of my composition. 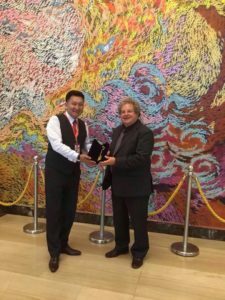 Met with Mongolian Deputy Prime Minister and was presented with a replica statue of Morin Khuur (horse head fiddle), Mongolia’s national symbol. Met with the advisor to the American ambassador at the US Embassy in Ulaanbaator, commemorating 30 years of USA/Mongolia relations. Was made an honorary member of the Morin Khuur Ensemble and presented with official pendants and commemorative history book of MKE. 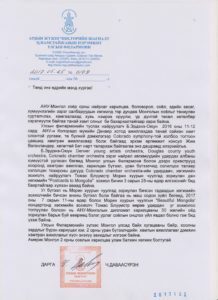 My score of “Postcards To Mongolia” is being placed in the Mongolian national archives as a permanent part of its two thousand-plus year history. The concert broadcast live on Mongolian Television with repeat broadcasts following the live performance. 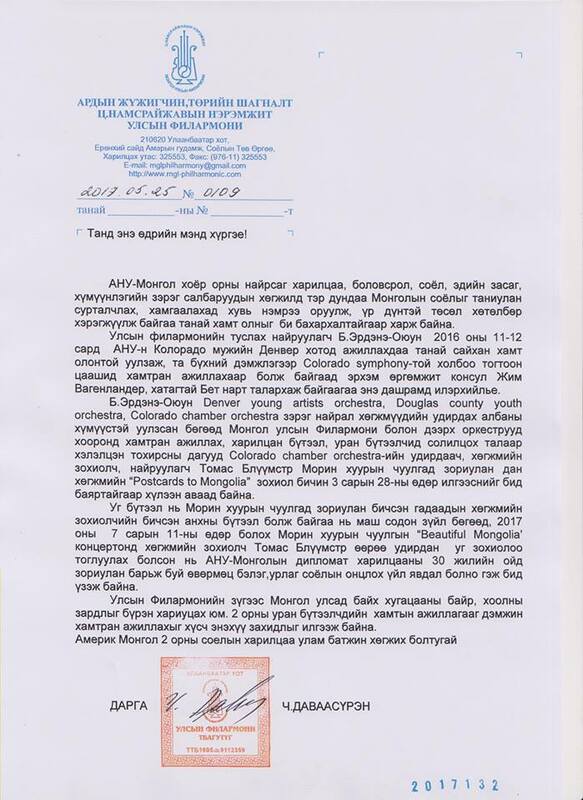 In a time of fractured relations and rising international tensions, we are proud as Coloradoans and Americans to have used the international language of music to promote a cultural exchange with one of the most remote corners of the globe, Mongolia. Below is a link to the performance.